As health and wellness take over America, and millennials are drinking less and less alcohol, non-alcoholic drinks are beginning to become all the rage. 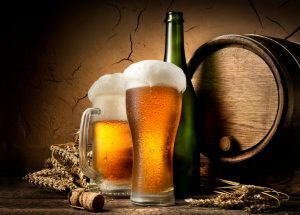 In the beer market alone, non-alcoholic brews account for 80 million dollars in sales. The category is expected to double to about 25 billion dollars in the next five years. Three major brewing companies have all announced a new non-alcoholic version of their classic brand, Anheuser-Busch InBev’s Leffe in Belgium, Heineken’s 0.0 in the U.S, and Pabst Brewing’s new Pabst Blue Ribbon Non-Alc. In addition, Brooklyn Brewery released an alcohol-free beer in Sweden and several breweries in the U.S. are exclusively brewing non-alcoholic beer.